Sony’s new Xperia XZ flagship phone breaks records when it comes to the camera resolution, and the 23 MP sensor employed by the rear camera is almost twice as large as that found on competitors’ phones. Unfortunately, Sony Xperia XZ doesn’t run the latest Android 7.0 Nougat operating system. Sony Xperia XZ feels like a mix between the high-end X-Performance and the Xperia Z5. It sports a 5.2-inch screen packed in a durable metal case. The phone’s square corners give it a bit of a “brick” look and can almost be considered retro these days. Practically all other phones utilise rounded corners so the square corners make Xperia XZ stand out from the crowd. In fairness, it should be noted that the edges on the long sides are moderately curved. Sony is one of the world’s leading manufacturers of digital cameras, so it’s not a surprise that the phone division profits from the in-house camera know-how that Sony possesses. The 23 MP sensor on the rear camera produces crisp and beautiful photos as one would expect from Sony. Another advantage is that the camera is capable of capturing fast-moving objects with clarity and without blur thanks to the AF laser sensor. Critics, however, point out that the camera lacks a second lens like Huawei P9 and iPhone 7 Plus. 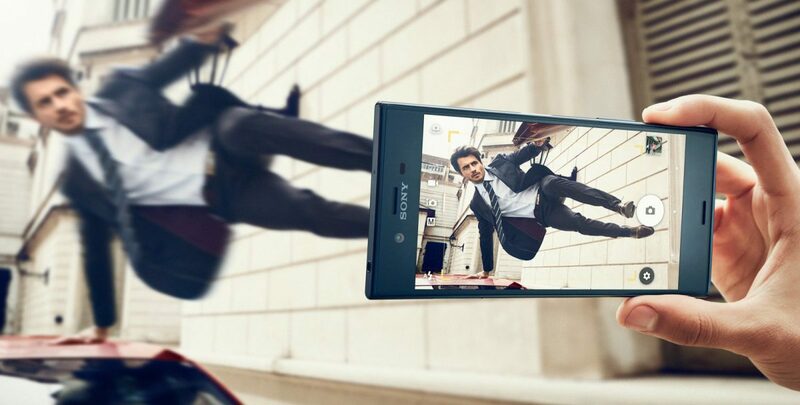 The front camera is as powerful as most other brands rear camera and features an impressive 13 MP resolution. Xperia XZ provides 64 GB of storage. This storage should suffice for most users but is expandable up 256 GB in case more storage is required. One main reason to purchase a Xperia XZ phone is that it’s compatible with PlayStation 4 consoles. Pricing starts at $890 including freight and GST.